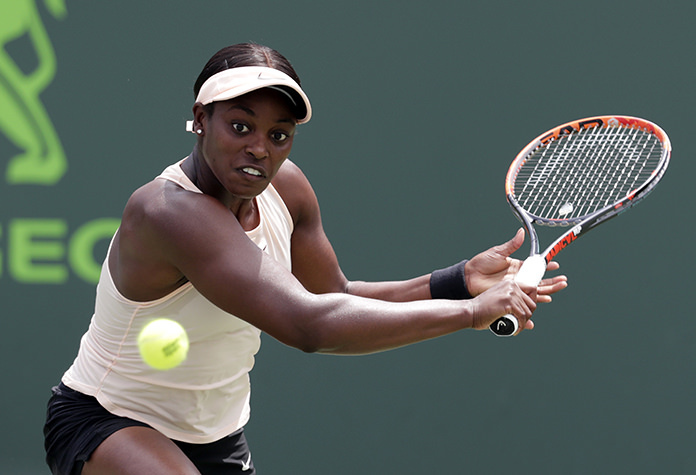 The Miami Open is moving, and Stephens became the final women’s champion on the picturesque island by beating Jelena Ostapenko 7-6 (5), 6-1 Saturday. Stephens was born in South Florida, played on Key Biscayne as a junior and lives in nearby Fort Lauderdale. That made the reigning U.S. Open champion especially eager to win the Miami Open before it moves 18 miles north next year to suburbia and the NFL Dolphins’ stadium. Even so, Stephens was surprised that fans jeered during the trophy ceremony when tournament director James Blake mentioned the relocation. Mike and Bob Bryan won their 115th doubles title and their biggest in nearly two years when they beat Andrey Rublev and Karen Khachanov 4-6, 7-6 (5), 10-4. John Isner tries for the biggest title of his career Sunday when he faces Alexander Zverev in the men’s final. Isner could give the United States its first sweep at Key Biscayne since 2004, when the champions were Andy Roddick and Serena Williams. The No. 13-seeded Stephens won with defense, repeatedly extending rallies until Ostapenko would make a mistake. Ostapenko had a 25-6 advantage in winners but committed 48 unforced errors to 21 by Stephens. She enjoyed the support of fans and family and more.